Hi my name is Samantha and I am a chocolate addict. My friend just gave me a small container full of mini Lindt chocolates and it's pretty much gone after 2 days. My personal vice is Ferrero Rocher. Even from childhood, I can finish a whole box in one sitting. It's just so good! Seeing as indulging in too much chocolate is rather fattening, every time I received a box of Ferrero Rocher, my mom would literally hide it. Pretty cruel right? Then she would we forget about it, the chocolate would harden and the wafer would go stale. Now that I am an adult, I eat it as a please, so ha! But being older and trying to be a little more health conscious, I try limit myself to a maximum of 3 whenever I do have a box to myself. I try to savor it in a longer time span than over indulging in one instance. Again, key word is "try". 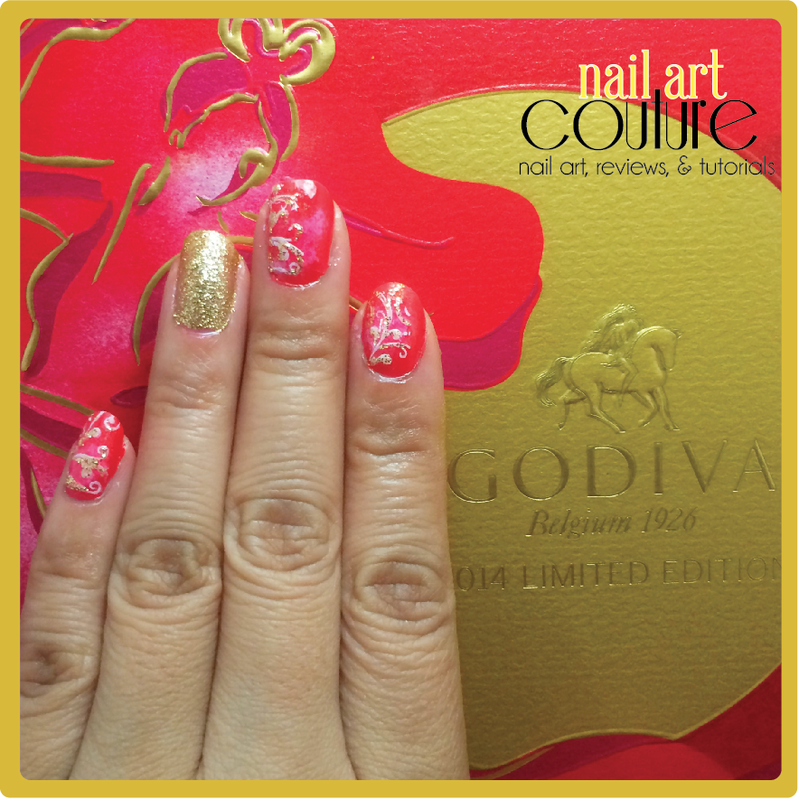 So when I was contacted by my good friend's ad firm to try Godiva Mid-Autumn Festival Gift Box, I immediately said yes. Mid-Autumn festival is traditionally celebrated by Chinese and Vietnamese on the 15th day of the eighth month of the Chinese calendar. This year, it will be celebrated on September 8. During this celebration, mooncakes are indulged and exchanged between friends and family. Mooncakes are a form of Chinese pastry that is filled with either red bean or lotus seed paste that encompasses an egg yolk inside. I am not the biggest fan of the traditional mooncake (likely because I don't like the texture of the hardened yolk), so I think it's great that some companies have put a modern spin to this traditional bake good. There are "mooncakes" that incorporate unique flavors or simply a different kind of dessert inspired by the shape of the mooncake. I remember celebrating Mid-Autumn and my uncle brought us Haagen-Dazs ice-cream mooncake with a harden chocolate shell. It was really good! 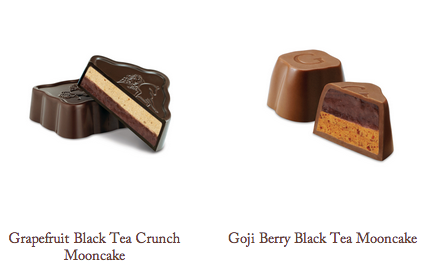 Godiva first introduced these limited edition mooncakes seven years ago. Before it was only available to selected US markets. 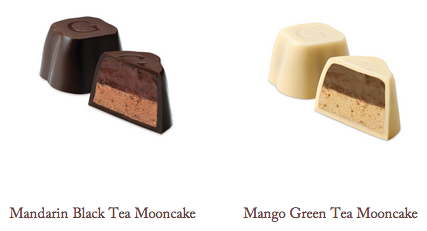 Now that it has proven it's popularity and success, this mooncake collection is available through US and Canada! It is only available until September 8. If feel like indulging, pick one up while you can! Check out what the flavors are after the jump! With a Belgian heritage dating back to 1926, GODIVA Chocolatier is the global leader in premium chocolate. Inspired by the values of Lady Godiva – her passion, generosity, and pioneering spirit --GODIVA’s legendary name has become a universal symbol of luxury, quality and the most delicious chocolate. The company has a presence in more than 80 countries with over 500 boutiques, in addition to a presence in Global Travel Retail, department and specialty stores, and online. GODIVA offers a range of chocolate creations and is dedicated to innovation and excellence in the Belgian tradition. From its famous truffles and shell-molded chocolate pieces to its European-style biscuits, individually wrapped chocolates, gourmet coffees, hot cocoa and other indulgences, GODIVA is committed to bringing the ultimate chocolate experience to the world. 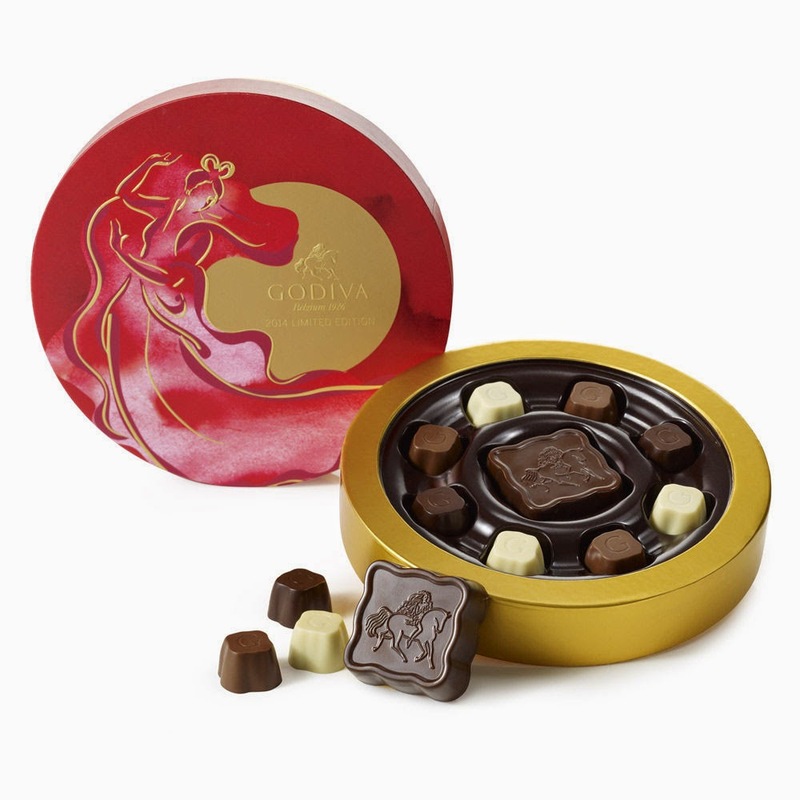 As with all Godiva chocolate and high-end Belgium chocolates, this box is available for $50.00, which can be purchased online and in stores. I already devoured all the chocolates, I am so ashamed I couldn't even wait until mid autumn festival to share with my friends and family, but it was so delicious! I have no control. I definitely really like the unique Asian flavor combination. 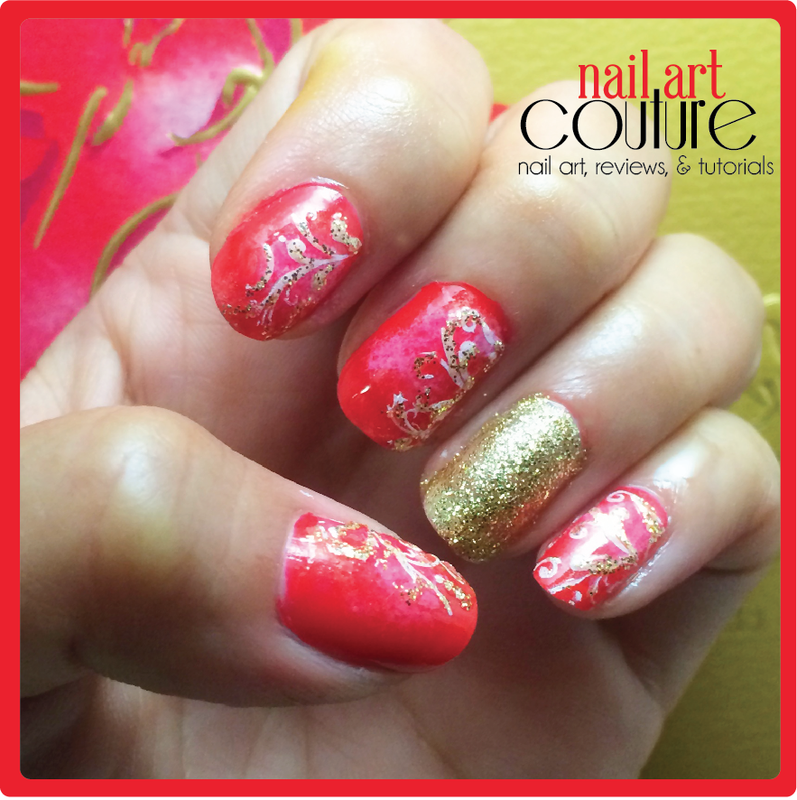 So I decided to create a nail art inspired by the beautiful packaging featuring Chang'e, the Chinese goddess of the moon. I hope you like it! The packaging is so pretty and of course I love the elegant nail art design you created! I was also not able to wait until Sept.8 to share with my family. The mooncakes were just too good! oh no, i totally missed out on those limited time godiva chocolates! they look and sound amazing! And i also love lindt & ferrerro chocolate….droooool! Nice nails!